The megapixel war is almost over for still digital cameras. But we see another battle started, the same one for digital video cameras. 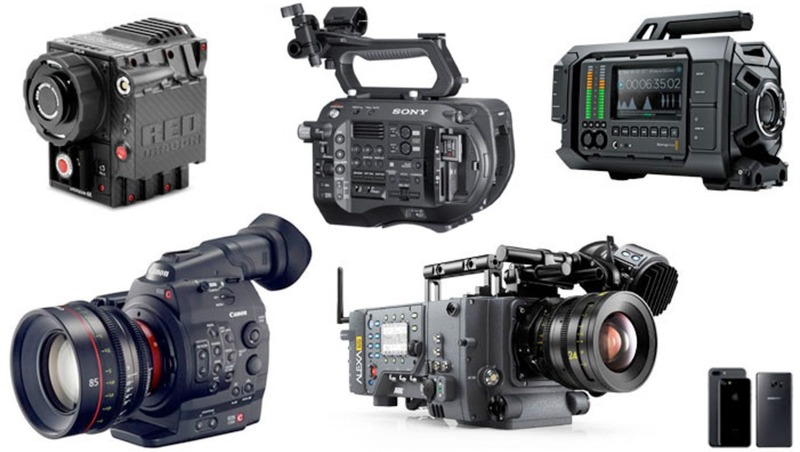 All camera manufacturers are now marketing their 4K, 6K, and 8K devices, including phones. 2K starts to look quite old school, but is it? First off, some basics. A "megapixel" is a term used mainly for still cameras. It means how million pixels there are in the output file. An 18 megapixel camera is the camera that delivers files with approximately 18 million pixels. An example is an image with dimensions 5184 by 3456 pixels. 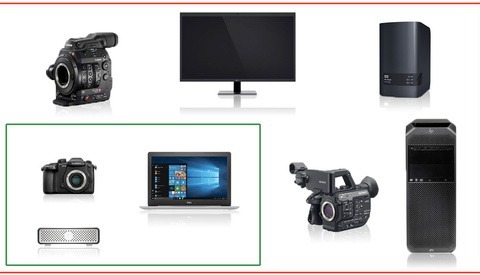 Although "megapixels" can be used for video camera files, manufacturers prefer to use another notation. This is probably due to the fact the video frame is in "landscape" orientation, meaning the width is greater than the height. Manufacturers prefer to name just the size of the longer side. A 2K digital camera is the one that delivers a file with about 2000 pixels on the longer side of the frame. 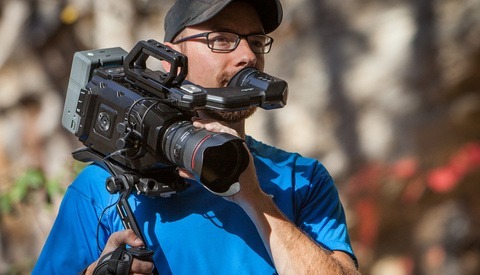 A 4K camera produces video footage which longer side is about 4000 pixels in width. The Full HD format is with 1920 pixels on the longer side. It's relatively safe to call it 2K. Now you can relate your still camera files to that notation and boldly say most you have 4K still cameras, including your phones. We've got computer screens, phone and tablet displays, print media, projectors, etc. In order to have a high quality print on an 8 by 10 inches piece of paper you need to have at least 3000 by 2400 pixels file at 300 ppi (pixels per inch). Although 240 ppi will be indistinguishable, a 300 ppi is somehow a standard value for high quality print. This means your five-six megapixel camera is fully capable of delivering such files. For bigger media sizes you may need a file with larger resolution but that's not mandatory. A billboard is viewed from a distance so even a 5 megapixel file can be printed on a billboard and still look good. The higher resolution the file the better it will look when we view it closer. How many times have you stopped your car by a billboard, climbed on it, looked it closely, and said: "Ha! Cheapos! It's not a 100 megapixel file!" This is how big your digital file at 100 percent zoom should be if you have a 15.4 inches 1600 by 900 screen relative to an 8 by 10 sheet of paper. Physical comparison of a 6 megapixel file on a 15.4 inch laptop screen vs the size of a 8x10 inch paper. What about digital screens? Most of the computer screens can't display a 5 megapixel file in its full glory. The file has to be downsized in order to fit it on the screen. Do you know what size is the leading image on this article? It's 701 by 405 pixels. This is less than 0.5 megapixels. Most displays today are just fine with 3 megapixel pictures for a desktop wallpaper. The pictures you see online are massively stripped down to smaller sizes. 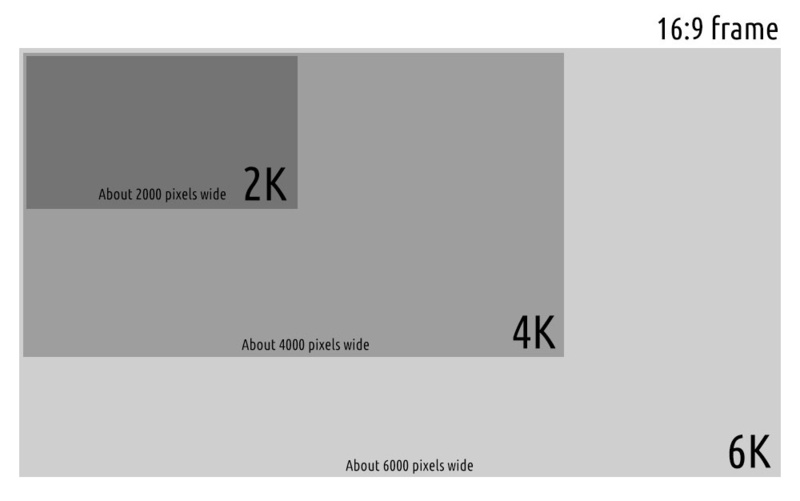 In order to fit an image with 5000 pixels in width a 1024 wide screen, you have to throw out about 80% of the pixels. Yes. You paid for a 16, 20, 40, 80, 100 megapixel camera so that you can show just a fraction of its data on a digital device screen. Welcome to the future. You want to see the full potential of your camera? Print the files. You won't see the difference between a technically good image from a 10 megapixel DSLR and a 40 megapixel medium format camera when you look at them downsized to 0.5 megapixel files (for example 900 by 600 pixels). Yep, that's the truth. You've paid 30,000 dollars for a medium format camera and all of your images are published on Facebook. It's a shame. You've just given your money away. The first answer is: media. Printing an image on physical media requires a higher resolution file. Unless you only print business cards or badges you will need a bigger file from your camera. As I said, a high quality print is usually at 300 ppi. If you print a badge with a photo and the image is about 1 inch wide, a 300 pixels wide image at 300 ppi will be quite sufficient. 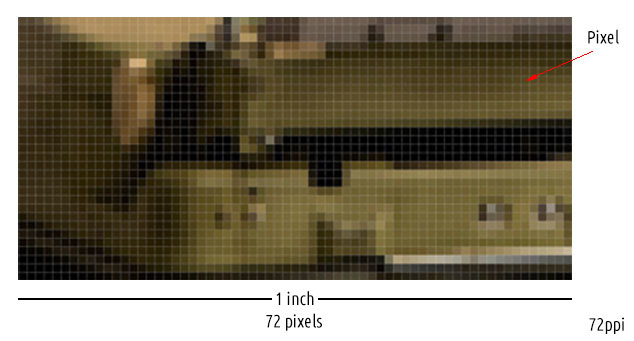 Each pixel will be printed as a dot on the paper and the image will look good even though it's that small. Maybe your composition was slightly off and you want to crop the image. Cutting pixels out of the file makes it smaller. This means you will have a smaller resolution file for print and for digital screens. If the file from the camera is big enough, say 18 megapixels, you can crop 50% of it and still have a decent 8 by 10 print without sacrificing quality. How many of you have that situation when the most favorite image for the client is slightly out of focus? Raises hand. If the image is going to be used on digital devices you are relatively safe. Downsizing an image diminishes the lack of focus perception and visually looks slightly sharper than the original size. A higher resolution file may save you in such situation. But again, if you crop in camera and your images are tack sharp, you don't need to have a monstrous resolution to have a successful business. We all know it: computer screens, phones, tablets, TV screens, movie theater digital projectors, etc. A common Full HD TV screen is 2K. Most movie theater projectors are also 2K. 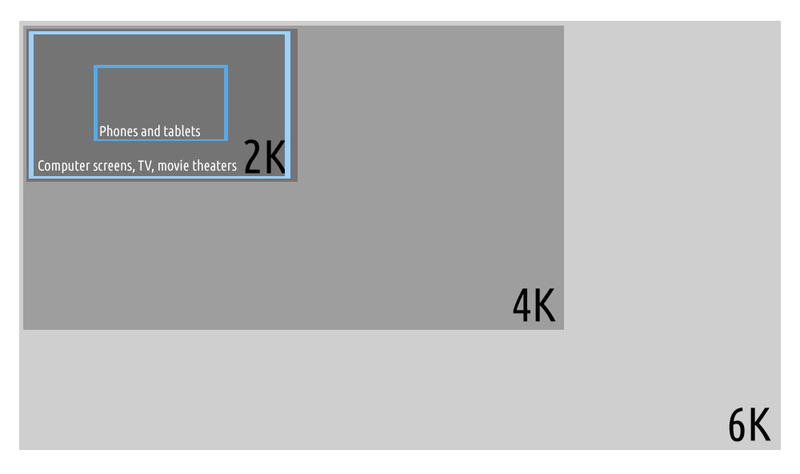 IMAX is also projected as a 2K resolution equivalent (speaking only about size here, not quality). This means you can create a feature film projected in movie theaters with a DSLR. Yes, in terms of video file dimensions, you don't need a 4K, 6K, or 8K camera to create videos displayed on TV or movie theater screens. Remember the example with the billboard above? How many of you like to sit on the front row in a movie theater? It's not that nice, isn't it? The screen is too big at that position and yet you don't think watching a 2K projected picture even that close has a low quality. That's 2K image projected on a 50 feet screen. Even if you put your nose against the movie screen you won't see the pixels in the image. It's because the image will be projected on your behind. What about your screen resolution? How many of the readers of this article view it on a 4K screen or bigger? Most of you read this on a 2K laptop screen or a small mobile device. I checked a recent statistics of both my portfolio website and on Fstoppers.com and I don't see more than three to four percent of the viewers using a 3K+ monitor. Almost 80 percent of the devices used to browse those two sites are below the 2K resolution. You can't print it. There far less reasons for you to have a higher resolution capable cameras. Both for a still image and video the higher resolution means more file size and thus requiring more storage. You can throw away your bad images and leave just the ones that matter. For video you have a huge file where each frame is a 1K, 2K, 4K, or more, image. Lots of storage need you perhaps, dear video Jedi. How many of you will go through your video footage and trim the useless parts and save only what you'd use? Nobody. Not many. The current video mass media requires mostly 2K footage. You can do perfectly fine with a 2K camera. Do you know most of the Hollywood movies you know were shot on a 2.6K or 3.4K cinema cameras? Lately they started to shoot on higher resolution cameras and yet they release digital files in 2K. Again, if your videos are technically good, you don't need a higher resolution camera to create great stories that can be even projected in movie theaters. As videos are sets of still images, the same technical operations apply to them as well. If you want to re-crop your picture a higher resolution camera might be of help. You can do that on a 2K camera as well, although it will result in a less than 2K frame. Slightly upscaling a video won't be much noticeable. Say, you cropped a 16:9 1920 pixels video to a 16:9 1800 pixels. Resizing it back to 1920 won't be so bad as quality (pixel peepers might argue that). For example "Whiplash" (the trailer above) uses footage from ARRI Alexa (2.8K) and Canon 7D (HD) and the final content is delivered in 2K. Higher resolution videos can be used not only for fixing in-camera composition. It can be used to save time recording a scene multiple times for medium or close-up shots. With huge picture dimensions the video editors can grab a fraction of the frame and create more cut-ins. An example of this technique is David Fincher's "Gone Girl" shot entirely in 6K on a RED Dragon. Bigger video frames can be useful for incorporating parts of them in visual effects. An example of that is the Queen of Hearts in the Alice movies. The way they made her head bigger is composing her head on top of the original footage. They used the same footage for the head, masking it out, but it was slightly enlarged. In order to deliver high quality footage in 2K they shot these in 4K. This way they did not have to upscale the head but resize the original footage slightly down and have the "head footage" in original resolution. For video being out of focus is not that bad as for a still image. Yet sharpness is something you want. Downsizing the video is just like downsizing a still picture. Lots of focus and sharpness flaws might be covered. In other words, you can be a little sloppier on a 6K camera than you are on a 2K. I'm joking of course, but cases of slightly out of focus scenes can be "fixed" easily by scaling down a higher resolution footage. It's not the megapixels as you see. Some of you may ask, "Can't we shoot Hollywood feature films on cell phones then?" Of course you can, but there's a slight problem. You might have the correct resolution but do you have high quality data in your files? You can surely make a feature film on your smart phone but you have to know its limitations. In difficult light conditions your cell phone image will fall apart while even entry level cinema cameras will do better. The real battlefield, from technical standpoint, should be the sensors and the lenses. Most of the footage is anyway viewed in 2K, you need more than a resolution in your toolbox. How many times did viewers care a movie was shot in 6K or 2K? If it's shot in 6K but all highlights are blown out, it's not worth watching it. If the storyline is poor, an 8K footage won't compensate for that. You need to know your priorities when shooting video. Content is always king. Then it's the picture and audio. Finally the resolution is something you can use to your advantage. It won't make or break the final product. It can only improve it if you did the story, visuals, and audio well. 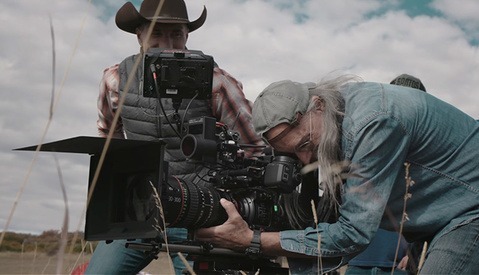 While everything in this article is absolutely 100% with regards to not necessarily needing higher res cameras for anything beyond easing your post worklow, as one of the minority who has a 4k viewing capabilities, watching great content at maximum quality is a whole different experience. If watched on a screen capable of projecting it — yes. Absolutely agree. It's like watching one's beautiful photography work on large prints. I still output videos at 1080P because that's what the majority of users view at. 4K requires a computer/GPU upgrade and a monitor to match. $K TV's are still super expensive for anything decent. Then there is the software...which is light years behind hardware. Right on the point with the software. For years I see improved hardware specifications and the computers still feel still this "slow" like 7-8 years ago. Sloppy software engineers? It depends, I've been able to adequately edit 8k Helium footage on a 3 year old rig-definitely doesn't compare to my workhorse computer though. So the software and hardware is there. Are you certain the difference isn't in the GPU/Faster RAM/SSD ? Without a doubt it helps that with your cpu, as well as faster connections like thunderbolt/usb-c. The codec also depends on how efficient everything is. Like a more cpu intensive hevc compared to prores in 4K or r3d files. I care more about the pixels (in terms of dynamic range) over resolution. What's why an 8 year old ALEV III sensor is still the industry standard to this day-and open gate its 3.4K. Although to me resolution is very important. One thing the article didn't mention is practically all these sensors are bayer pattern-so the footage has to be debayered which looses resolution. In other words shooting 5k on a RED Dragon debayered gives you a true 4K image. So debayering for a larger master file, flexibility to crop and stabilize, and super sampling to naturally sharpen and denoise footage is why I love the flexibility of shooting 6k and 8k. I wish the industry would be pushing HDR over resolution though-that's how you get consumers to upgrade since HD is "good enough". Since I started finishing in HDR my clients have never looked back. Can't wait for my Helium Weapon to be allocated, along with the new RED color science to compare it to the Alexa, that'll be interesting! The info about debayering is very helpful. I hope readers will read your comment too. Thanks! Aren't we all! Yesterday I tried the IPP2 preview color science with my friend's Helium and it helps compared to the dragon color science. Don't think Helium will get as good as dragon in the highlights unless your sensitivity is at 1600 ISO from what I saw. I love the "(Lazarov) is the best photographer and filmmaker in his house". interesting article as i like the idea of 4K video for clarity and detail but i find that watching full HD video recorded at 60 fps looks just as good to my eyes and i have found that 1080p 60fps delivers smooth video when panning rather than 4K which sometimes looks a bit jittery. Panning is not great with most camera footage but although I agree about the 4K advantages in terms of clarity and detail, yes, the 1080p is just fine. Sometimes in 4K it looks too "sharp" for a movie-look. Future proofing your contect can be an argument of using higher resolution files. I have a 40inch 4k screen and I stopped watching 480p a long time ago because the quality is so bad. The same will be true for 1080p in a couple of years time. If you are a studio and you want to replace for instance a DVD film for a HD film or a successor of bluray, your file need to be good enough to do this. That's good for you Pieter, but current statistics from several websites say the vast majority of users are using sub 2K resolution displays. So are the movie theaters. A friend, a family photographer, said to me most of her clients are using only tablets and phones for receiving and viewing their final images, not computers. I was thinking otherwise before checking the statistics.